Here are the nominees from Deadline. 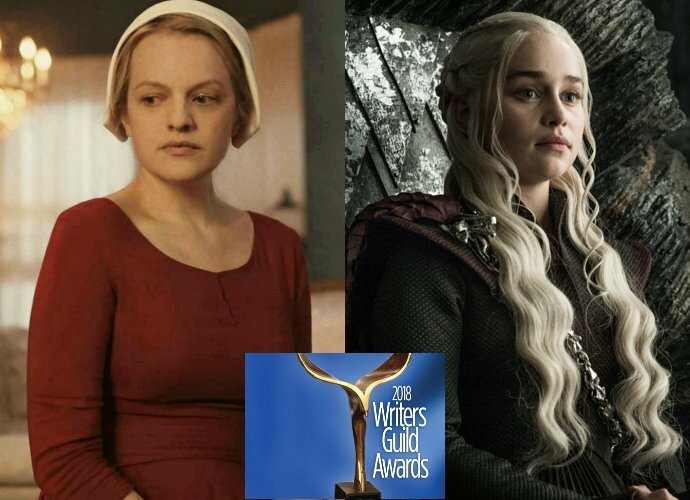 As I wrote, I expect "The Handmaid's Tale" to win this. I think this will likely to go "Master of None," which won the comparable award at the Emmys. The runners up will be "Veep," which has been strangely absent from the nomination lists so far, and "GLOW." Sorry, nerds of "Silicon Valley." At least you were nominated while "Big Bang Theory" was not. As I wrote, I expect "The Handmaid's Tale" will win, but it could still lose to "GLOW" in an upset. It depends on whether the writers like comedy over drama. "American Horror Story: Cult" is the speculative fiction series, but I expect "Feud" will win. I'm rooting for "The Immortal Life of Henrietta Lacks" as the science show, but I think it has the worst chances of the field. I'd rank the shows ahead of it as "Big Little Lies," "Fargo," and "The Wizard of Lies." As much as I want to root for the superhero team and the survivors of the zombie apocalypse, I have a feeling that "Zac & Mia" have the best shot. This is between "BoJack Horseman," which won the WGA Award for Animation last year and "Bob's Burgers," which won the equivalent Emmy Award this year. As much as I am rooting for "The Leftovers," as this will be the last year it can be recognized, I think "The Americans" might pull this one out. I'd prefer "Just Add Magic." I expect the award will go to one of the two "Sesame Street" nominations instead. That's it for the WGA Awards until the movie nominees are announced. Stay tuned for a post about "The Last Jedi" at the box office. Star Wars!